You’ve got a Mac, an iPhone, maybe an iPad or two in your household, and you have a problem. Maybe one of them’s got a cracked screen, and you want to find out if it’s still under warranty (and what that warranty covers). Maybe one of them won’t start up, and you want to find out what to do. Maybe you just have a question that requires an Apple expert. 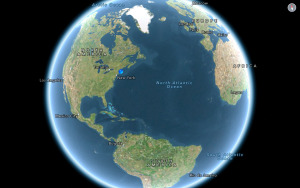 Turns out you can find out all that and more in one place—a place that a lot of Apple users have never heard of. 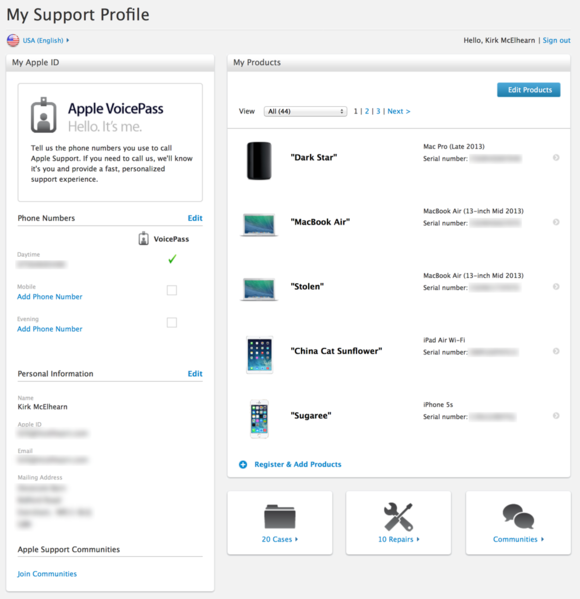 You probably know about Apple’s standard Support website. But I’m betting you haven’t been to your own personal Support Profile page. 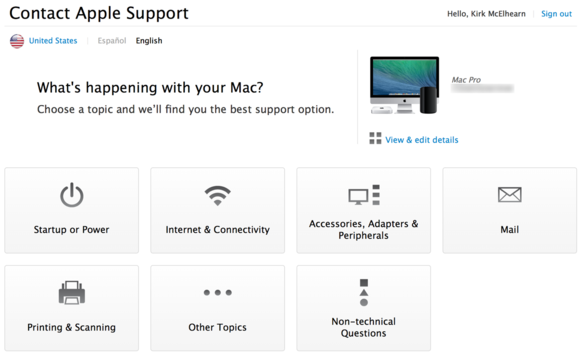 There, you can view a list of all of your Apple products, check their warranty coverage, access troubleshooting resources, and contact Apple’s support team. Here’s how to take advantage of all that. If you’ve ever bought any hardware from Apple—whether from Apple’s online store, or in an Apple retail store, but using your Apple ID—the company has a record of what you bought and when. On the right there’s a list of every bit of hardware you’ve bought from Apple. Below that list, you’ll see a list of the support cases you’ve opened, repairs you’ve initiated, and a link to Apple’s support communities. What’s interesting is how far back this list goes; Apple has a long memory. In my case, it goes back to that gray iMac DV SE that I bought in 2000, the early AirPort base station, and the very first iPod I bought. As I said above, as long as a purchase is associated with your Apple ID, Apple has a record of it. If you bought Apple hardware from other retailers, you can register that, too: Click Register & Add Products, and you’ll be asked for a serial number. When you provide one, that item will be added to your list. Note that you can also add nicknames for each of your devices. That can make it easier to find what you’re looking for if you have more than one of a specific computer model or iOS device. Click an item in your hardware list and you’ll see information about it. This is a great place to start if you have problems with any hardware. 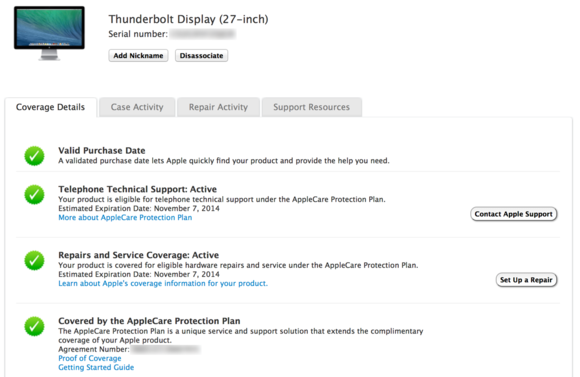 Each item listed on your Apple support profile gives you information about that item, its warranty coverage, and more. The Support Resources tab is useful if for troubleshooting. You’ll find a number of FAQs, technical notes, links to downloads and other information that may help you solve your problem. This is also a great place to look for instructions if you want to upgrade your Mac, add RAM, or change any user-accessible hardware items. Unfortunately, I find that many of the articles aren’t necessarily applicable to the specific model of Mac or iPod I have. When I look at the page for my new Mac Pro, it links to a number of articles about the older cheese-grater Mac Pro. So you may still need to search for what you want. If you need to contact Apple, you can click Case Activity, then Create a New Case. The latter lets you create a support case with all the information about your device already filled in, making it easier to manage. If, for example, your iMac won’t start up, it may be difficult to find its serial number, which you’ll need for repairs. But if that number’s listed in your support profile—either because you bought it from Apple, or registered it yourself—you can save yourself that step. Initiating a new service case from within your support profile. There’s one more reason this support profile is useful. If you register all of your Apple products, it will serve as a handy list in case you need to contact an insurer when one of them is damaged or stolen. The support profile won’t provide actual invoices, but it will show which models you owned. While it doesn’t display purchase dates, you can figure that out for recent items, based on when their warranty coverage ends. Note that there’s another little-known profile page that you should know about. This one has a slightly different front page, where only your devices are listed. That list gives you one-click access to Apple’s Express Lane support service—which can be even faster than going through your support profile. It’s essentially the same as starting a new case from your support profile, after selecting an item. If your hardware is working fine, you may never need to access these pages. But when things go wrong with a Mac or iOS device, or if you just want to check your warranty coverage, they can make dealing with Apple’s support team easier for everyone.